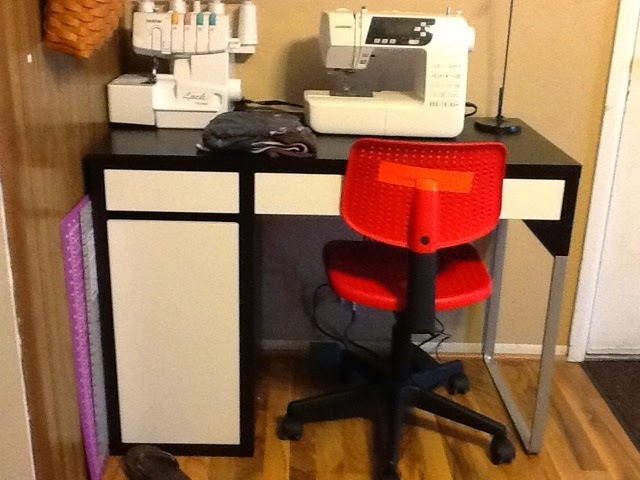 Thanks to my awesome husband and amazing kids, I have a new sewing desk! I have been secretly eyeing some new IKEA furniture hoping to get a new sewing table or desk. One Saturday, while I was occupied, he took the kids out rummaging. The kids were beyond ecstatic to show me. And I'm the proud new owner of this awesome rummage sale find, with plenty of drawers and shelves to keep me organized (and in style too)!